Principal Machakos Technical Institute for the Blind. Ms. Juliana Asser – Rep of Tech. University Senate. 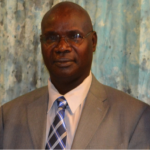 Prof. Charles M. M. Ondiekiis the Chairperson of the Technical and Vocational Education and Training Curriculum Development, Assessment and Certification Council (TVET CDACC). He is an Associate Professor in the Department of Mechanical & Mechatronics Engineering at Multimedia University of Kenya where he doubles as overall University Industrial Training and Attachment Coordinator. He is also an adjunct Professor at Department of Mechanical and Mechatronics Engineering at Technical University of Kenya. Prof. Ondieki holds a PhD degreein Engineering Management; MSc in Mechanical Engineering; Higher Diploma in Mechanical Engineering; and Diploma in Technical Teacher Training.He is a Fellow member of the Institution of Engineering Technologists and Technicians. He has several years of work experience as University lecturer, senior civil servant and senior manager in private sector. He has designed and developed several curricula at certificate, diploma and undergraduate and postgraduate degree levels. Presently he is a senior consultant with many consulting firms dealing with technical and management training, monitoring and evaluation, youth entrepreneurship, strategic and business plans and market research locally and regionally. Prof. George Muturi Thumbi is a Professor in Civil Engineering Technology at the Technical University of Kenya. 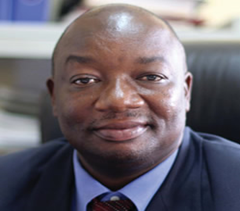 He has a wide experience in the Ministry, TVET institutions as well as in the universities. 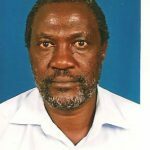 Prof. Thumbi has worked as an inspector of water supply in the Ministry of Water, tutor at Kenya Water Institute, worked with TSC as Senior Lecturer at Jomo Kenyatta College of Agriculture and Technology (JKCAT) and later Lecturer and Senior Lecturer at JKUAT. Currently, he is a Full Professor at the Department of Civil and Construction Engineering, Technical University of Kenya. He is a Director,School of Infrastructure and Resource Engineering and also Chairman, Institute of Engineering Technologists. Prof. Thumbi is a holder of Doctor in Engineering and his professional affiliations include: Lead expert, Environmental Impact Assessment and Audit (NEMA) and fellow with Institute of Engineering Technologists. 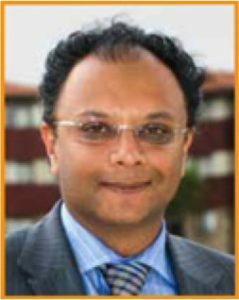 Dr.Kevit Desai is the owner and founder of Centurion Systems Limitedand holds a Ph.D. in Robotics Systems Engineering. Kevit served as an Industrial Automation Development Engineer at Nippon ABS ltd in Tochigi Japan. He is also a master trainer in automation and drives technologies. He is the founder and chairman ofLinking Industry with Academia (LIWA).Kevit has been a member of the steering Committee in JICA master’s degree and internship program of the Africa Business Education Initiative for the youths.He is also the chairman of the permanent working group on vocational training.He also serves as a trustee at the United States International University Africa (USIU). He served as a Pan African University Trustee, Board of Director AIESEC, Standing Committee on Investment of Renewable Energy (MOE), Asian Foundation, Task Force on Alignment of Higher Education with the Constitution, TAHEST, Task Force for Research and Development, National Council for Science & Technology Council, University of Nairobi, South Eastern University and National Higher Education Reform Task (Ministry of Education).He also served as a former Commissioner of the Commission of Higher Education. Dr. Desai has chaired and directed various organizations such as Kenya Markets Authority Trust, Regional Mega Projects Coordination Council, and Regional Mega Project Coordinating Council (RMPCC), Institute of Electrical and Electronics Engineer East Africa(IEEE) (Kenya, Uganda, Tanzania, Sudan, Kenya ICT Federation (KIF), General Co-chair AFRICON 2009, Mahatma Gandhi Academy Society, Kenya Private Sector Alliance(KEPSA), Kenya ICT Board, Engineering Students Exhibition and the University Grants Committee. He has been awarded Honorary Doctor of Science honoriscausa of KCA University. He has also been knighted Moran of the Order of the Burning Spear (MBS) for Engineering contribution (2008) citation by the professional society of Kenya. 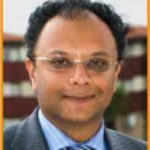 He is professionally affiliated to the Institute of Electrical and Electronics Engineers (IEEE), Institute of Electrical and Electronics Engineers, Kenya Section, Kenya ICT Federation (KIF) and the Kenya Science, Technology and Innovation Steering Committee. Ms. Agnes Wachie is a Senior Technical Officer- Electricity at the Energy Regulatory Commission. She holds a Bachelor’s Degree in Electrical Engineering, Diploma in Technical Education Electrical and Electronics and a Diploma in Project Management from Galilee International Management Institute- Israel. She is a Graduate Engineer- EBK, a registered member of the Institute of Technologists and Technicians now KTTB. 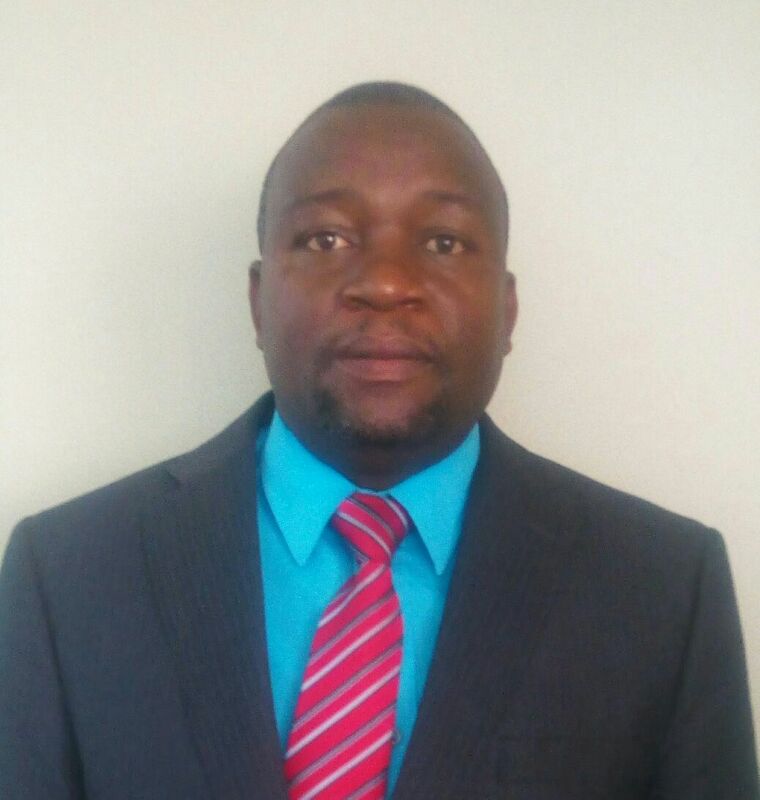 Council Member of the TVET CDACC since November 2014 and has a wide experience in Power engineering and Assessment and Management of licensing of Power Undertakings in the energy sector. She worked for Kenya Power from 1988 to 1995 and later Energy Regulatory Commission from 1999 to date. Dr. Langat is the Director General of TVET Authority. 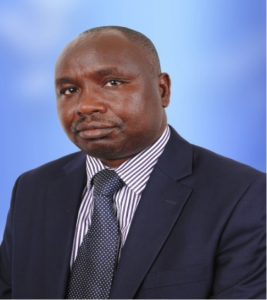 He holds Doctor of Philosophy in Engineering Systems and Management from Egerton University,Master of Philosophy in Technology Education (Automotive Technology), Master of Business Administration (Strategic Management) and Bachelor of Education in Technology Education a from Moi University. He has worked as anAssistant Lecturer, Lecturer and Head of Department, Automotive Engineering at Rift Valley Training Institute. He has also worked as a lecturer in the Department of Mechanical Engineering and a Deputy Dean of students atEldoret Polytechnic. Dr. Langat worked atEgerton University as a Lecturer in the Department of Industrial and Energy Engineering.He was a programme coordinator for Twinning Programme between Western Michigan University, USA and Egerton University. He was also among a team of experts who developed Bachelor of Technology in Mechanical Engineering and Bachelor of Philosophy in Mechanical Engineering at the Technical University of Kenya. He was a subject panel for Diploma and Higher National Diploma in Mechanical Engineering between 1999 and 2004 at Kenya Institute of Education. Dr. Langat has also been working with United Nations Environment Programme (UNEP) in developing policies and guidelines for transport emissions in East Africa Region. He was instrumental in the training of motor vehicle inspectors in Kenya and Rwanda. Since 2014, he has been advising East African Community in harmonization of standards for importation of used motor vehicles in the region. He is a member of Technical Committee on Road Transport Standards at the Kenya Bureau of Standards and a consultant for Boston Garage Equipment UK since 2007. He is a fellow member of Institution of Engineering Technologists and Technicians (IET) of Kenya. Dr. Lawrence Guantai M’itonga is the Chief Executive Officer/Council Secretary of TVET CDACC. He has extensive experience in the TVET sector where he has worked both in TVET institutions as well as in the Ministry. 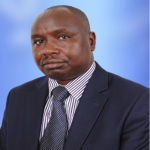 Dr. Guantai has worked as a Senior Assistant Director, TVET, Ag. Senior Assistant Director, Technical Accreditation and Quality Assurance and a Graduate Lecturer at Nairobi Technical Training Institute. He holds a PhD in Medical Microbiology, M.Sc.in Medical Microbiology and B.Ed (Science). 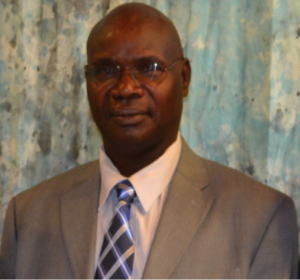 Mr. Okumu John Wycliffe Odhiambo is the Deputy Principal (Administration) of The Kisumu National Polytechnic. He has over 27 years of teaching experience in which he has taught Technical Education in Engineering Drawing and Metal/Mechanical Technology besides serving in various administrative positions in public institutions. He has attended and trained in several Executive Management and Corporate Governance programs. He represents National Polytechnics in the TVET Curriculum Development, Assessment and Certification Council (TCDACC). He is a full member with the Kenya Engineering Technologist Registration Board. Ms. Juliana Asser works at the Registrar Academic Affairs office- Technical University of Mombasa. She is Pursuing a PhD in Business Administration, Strategic Management Option (JKUAT). She holds a Masters’ Degree in Business Administration from Kenyatta University and Bachelor of Education from Moi University. She is a full member of Kenya Institute of Management. She previously taught in public institutions where she held various management positions. 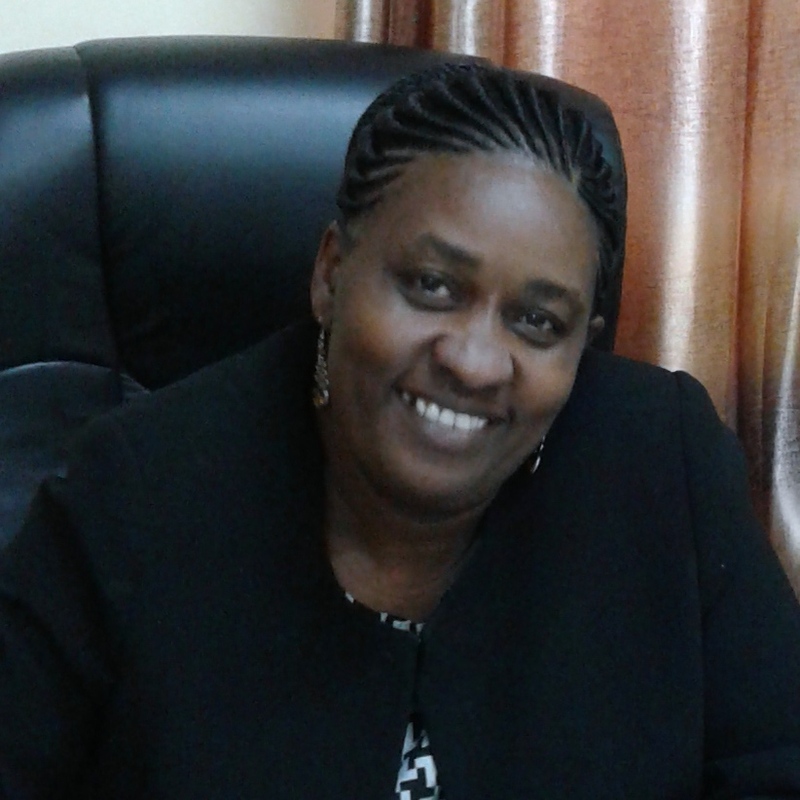 She serves as a member of TVET CDACC representing Technical Universities in Kenya. Priscillah Nduku Mutua is a trained teacher and a PhD student in curriculum studies. Professionally and administratively, she has risen from a secondary school graduate teacher in 1991 to a Principal in the MTIB. Within the TVET framework, she has attended, participated and contributed in eight conferences four of them global in scope. Within this, she has achieved the coveted position of KATTI’s Vice Sec. General and the Ministerial appointment in 2017 to the membership of TVET-CDACC. Priscillah has demonstrated very commendable competencies in teaching, programme administration, management, analytical assessment, partnership, collaboration and linkages and strategic management. Her ability to adapt, integrity, innovativeness and personal drive have enabled her to grow MTIB into a modern, and indeed the best special needs institution for the visually challenged in Kenya. She has seen to the transformation of previously helpless special needs trainees into self-acceptance, self-reliance and talent recognition and nurturing of renown world Paralympic champions including Hon. Henry Wanyoike and Henry Nzungi. This has made Priscillah a household name in the context of visual disability. 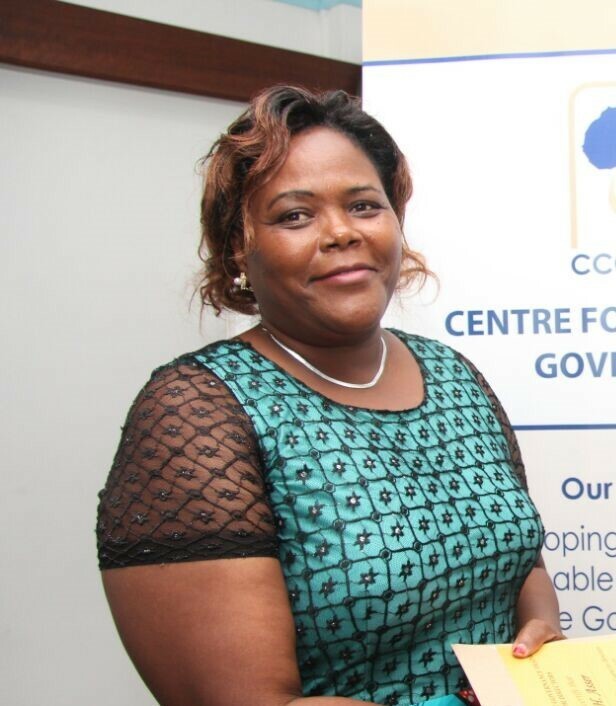 Dr. Dinah Mwinzi is an educationist, enterprise, youth, gender and public policy practitioner with more than twenty five years’ experience across higher education, administrative levels of Government and development sectors. She is also a certified business mentoring, ICT, knowledge society and e-learning specialist. In her professional career, she is the founding Director of the Department of Vocational Education and Training (DVET), Ministry of Education, Science and Technology (Formerly in Ministry of Youth Affairs and Sports). 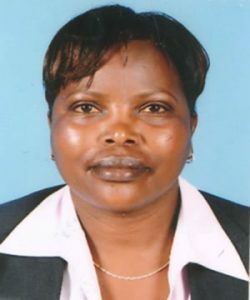 She holds a Doctor of Philosophy in Education and a Master of Philosophy from Moi University, a Bachelor of Education from Kenyatta University. Also a Graduate Diploma in Leadership Development in ICT and the Knowledge Society, from Dublin City University, Ireland. Dr. Mwinzi has been a recipient of the prestigious DAAD Scholarship from the German Government and several research grants from other organizations. Her recent publications include two books; Substance Abuse and its Impact on Students in Kenyan Universities: Towards Developing Policy Guidelines for Prevention Education Strategies, VDM, 2010. ISNB, 978-3-639-25073-2. The Role of women in African Traditional Religious Rites: A Case of the Keiyo of Kenya, VDM, 2010. ISNB, 978-3-639-1657-9. Two Chapters in 2 scholarly books , “Access to and Retention of Early School Leavers in Basic Technical Education in Kenya” , in The Burden of Educational Exclusion: Understanding and Challenging Early School Leaving in Africa By Zeelen,J, Van der Linden,JNampota,D. and Ngabirano,M, (Eds.) Sense Publishers, 2010 and “The impact of cost sharing policy on University Students Living conditions in Kenya Public Universities: The case of Nairobi and Moi Universities”, in African Universities in the twenty-first Century: Liberalization and Internationalization Vol.1 Zeleza P.T and A. Olukoshi (Eds. ), CODESRIA in the twenty-first century: Liberalization and Internationalization Vol.I, UNISA press, 2004. 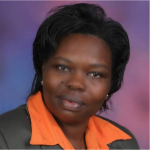 She has published three articles “Motivational Factors For Substance Abuse Among Secondary School and University Students in Kenya: The Way Forward” International Journal of Asian Social Science 2(9):1548-1563 – Online ISSN: 2224-4441 Print ISSN:2226–5139 Journal homepage: http://www.aessweb.com/journal-detail.php?id=5007 “The Challenges Faced by University Refugee Students in Kenya,” Maarifa Journal of Humanities and Social Sciences Vol.2 No.2 2007. “Learning of Science and Mathematics among Female Students in Secondary Schools in Economically Disadvantaged Areas in Kenya: Challenges and Prospects” Sauti Standford Journal of African Studies Spring, 2006.